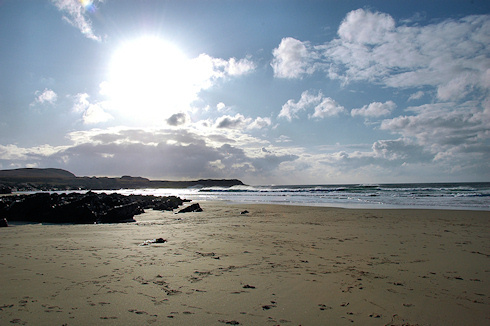 That's of course Saligo Bay on the west coast of Islay, I took this picture in October 2009. Fast moving clouds provided ever changing light and conditions. A good breeze was blowing, although it wasn't stormy. Still some nice waves though. I hope this picture captures the mood at least to an extent. As usual I will post the larger version of the picture (larger as in more than twice as big) on the Islay Pictures photoblog on Saturday morning. Now it's time for a nice wee dram of Islay single malt, among others for Eleanor and James successfully completing their inflatable kayak across Scotland challenge. Have a great weekend!